MoviePass owner Helios and Matheson has been routinely hitting lows. It touched a record low of $US0.335 a share on Wednesday. 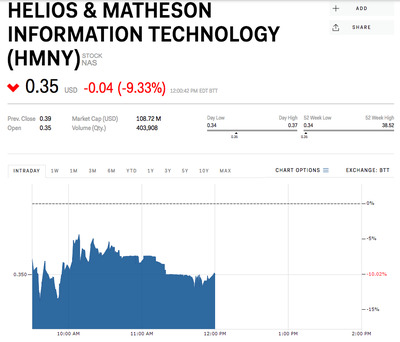 Watch HMNY trade in real time here. 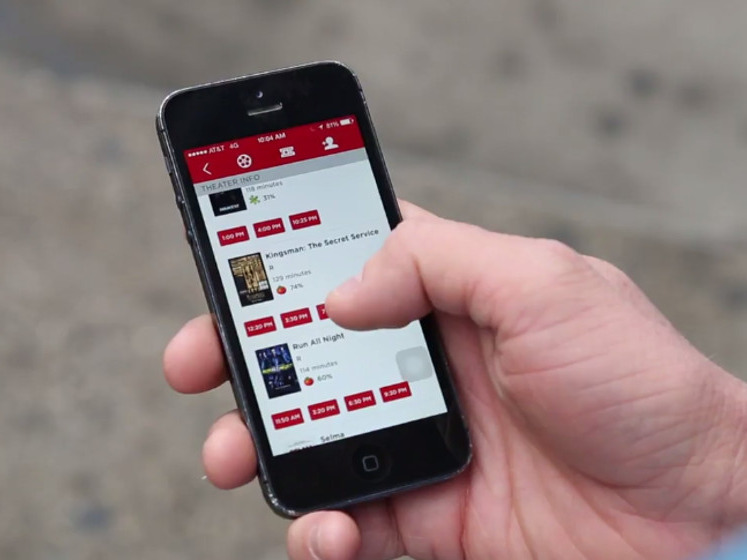 MoviePass owner Helios & Matheson keep falling deeper and deeper into the abyss. Shares touched a record low of $US0.335 on Wednesday, accounting for a drop of more than 14%. For context they hit an all-time high of $US32.90 apiece shortly after MoviePass was acquired in October. The stock got a temporary boost of more than 6% last week when Citadel Securities announced it had amassed a 5.4% stake in the company. It hit $US0.44 that day, but has has been in a downward spiral ever since as the company’s cash burn remains at the top of investors’ minds. The stock has lost 95.07% of its value this year.